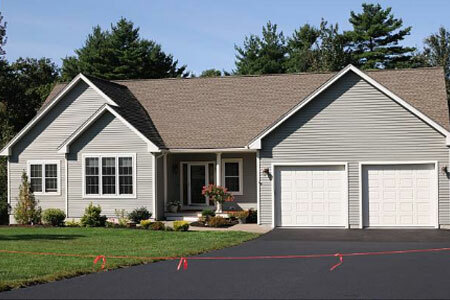 At Mr. Pavement, driveways are one of our most popular asphalt paving services. We’ve created driveways of all different shapes and sizes, but the one thing they all have in common is the need for a professional driveway sealcoating every few years. We recommend sealcoating your driveway every 2-4 years to maintain its quality and we can do it quickly so you can get back to your daily lifestyle. Between vehicle traffic and natural elements like sleet, ice, hail, and more, your driveway needs protection. With our professional sealcoating material, we can spread a layer of protection along your driveway to help shield it from cracks, dents, holes, and more. 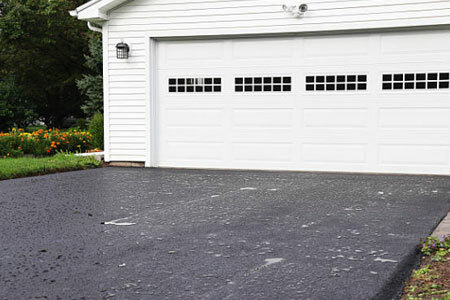 By regularly sealing your asphalt, you’ll extend the life of your driveway and it’ll look great for years to come. In addition to protection, our driveway sealcoating service offers a restorative beauty for your asphalt. We use high-quality sealant that bonds to the asphalt and provides a rich, black hue that resists fading. After our sealcoating, your driveway will look brand new and you’ll enjoy an increase in your home’s curb appeal. For the best way to prolong the life of your driveway, turn to the expert driveway sealcoating services from Mr. Pavement. We can seal your driveway quickly and professionally with beautiful results for years to come. Give us a call today to set up your appointment.